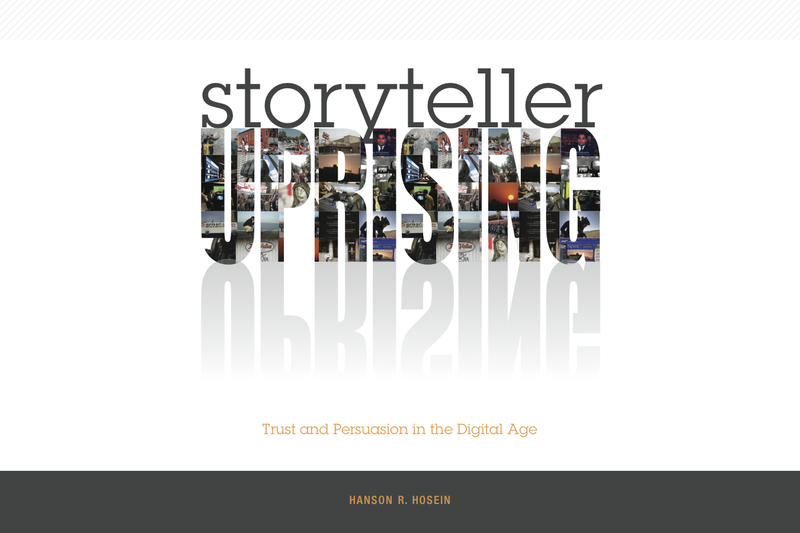 The underlying “strategy” to Storyteller Uprising is to create compelling content, and inject that into the media ecosystem, catalyzing interaction, and ideally trusted relationships that facilitate further communication. It’s why I have a hard time turning down opportunities to develop new assets to stimulate conversation around my ideas and projects. Today, I went head-to-head with my former storytelling student Ross Reynolds, who’s a KUOW (a local Seattle NPR affiliate) radio host. It might have been my second breakfast, but I had an inordinate amount of energy as we discussed the ideas around Storyteller Uprising. You can listen to the full audio (18 minutes) here. 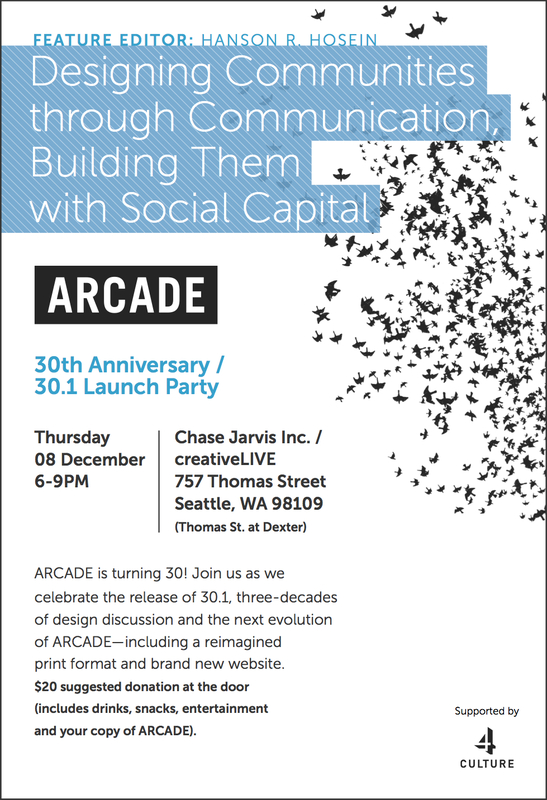 It’s also why I agreed to an invitation to serve as featured editor for the 30th anniversary issue of Arcade Journal (December 8th invitation for the kick off party pictured above left). I don’t really know anything about design or architecture, but the Pacific Northwest publication wanted a different perspective. So I decided to take it on and see if I could get at that oft-overused concept (by me especially) of “community” and what it means in the context of design. I’m really proud of what our gaggle of contributors came up with. I intend to promote this, along with the book, our Four Peaks show, and the MCDM (we have an awesome new website) generally when I attend the Consumer Electronics Show as a reporter/gadget expert in January. Part of my charm offensive includes the somewhat self-serving piece, “7 Criteria for Evaluating Graduate Programs.” And, the book’s next chapter will focus on emergent technologies that might benefit storytellers as we advance further into this “digital age” — perfectly timed to CES.